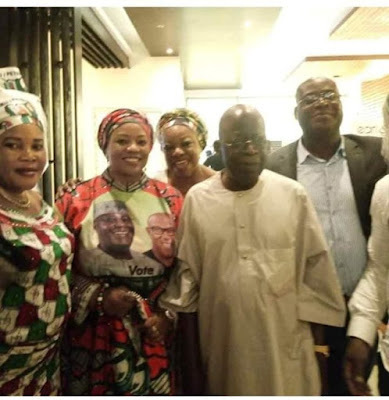 Bola Tinubu, the National leader of the All Progressives Congress has been spotted posing with some Peoples Democratic Party members, who are campaigning for Atiku Abubakar in Lagos. 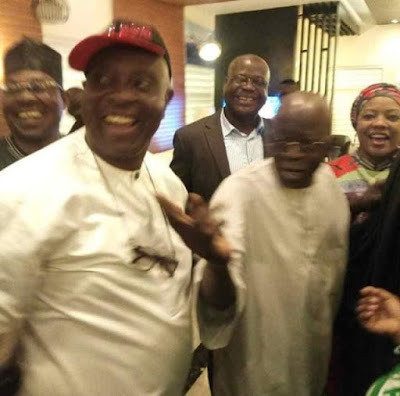 This is coming after Tinubu was spotted at the APC Presidential rally in Ogun state, throwing away his party's flag. His media aide had said he merely threw the flag to the party's chairman, Adams Oshiomhole who wasn't captured in the video.